Get initiated in kitesurfing the right way. Take the 3 day course and learn all the basics about kitesurfing, learn to control the kite and step by step into the water. Learn to kite surf without any previous knowledge. 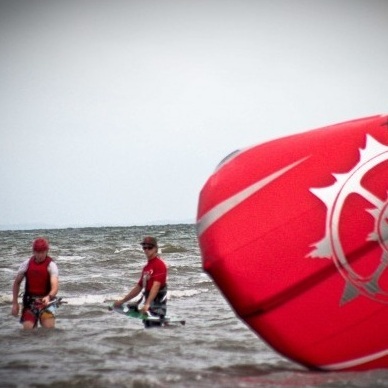 The objective of the course is that by the end of the lessons you may be able to kite on your own. Of course there is no stress, we will go over everything related to the sport, and you will improve little by little. Everyone is different, but everybody can do it. No previous experience is needed nor any special physical condition. The only requirementis to know how to swim.